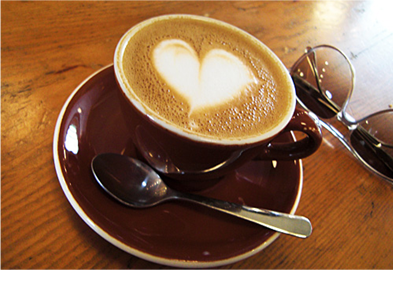 How many of you love coffee? Well, I would say coffee would be one of the most popular beverages in the world. It is not only western countries but also Asian countries. Many coffee companies have specialized terminology for their different roasts and there is not much industry standardization. The different names for flavoured roasts can cause confusion, but in general, the types of roasts fall into one of four colour categories: light, medium, medium-dark, and dark. 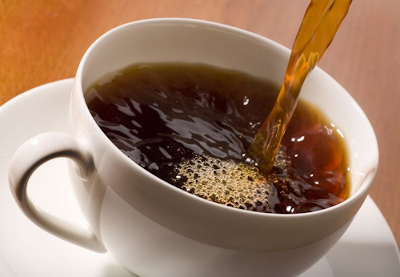 Coffee is always great to have during breakfast or perhaps during tea time. 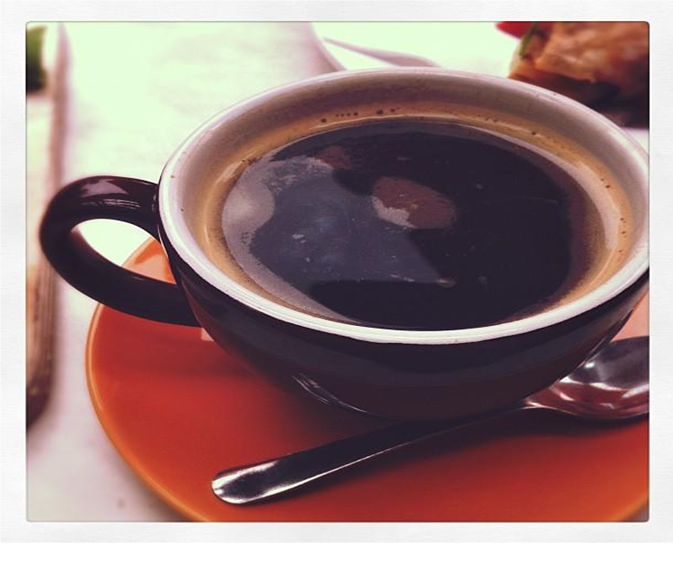 In this particular post, I am not going to talk about the production of making cup of coffee, but I am going to share with you the types of coffee that can be found all around the world. How many of you know the types of coffee in the world? 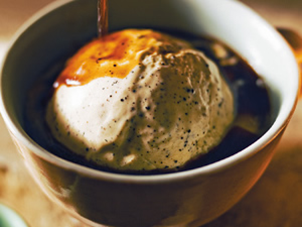 Affogato – means drowned in Italian, served with ice-cream and topped with hot espresso. 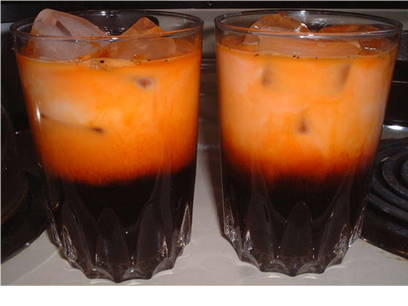 Black Tie - a traditional Thai Iced Tea, which is a spicy and sweet mixture of chilled black tea, orange blossom water, star anise, crushed tamarind, sugar and condensed milk or cream, with a double shot of espresso. 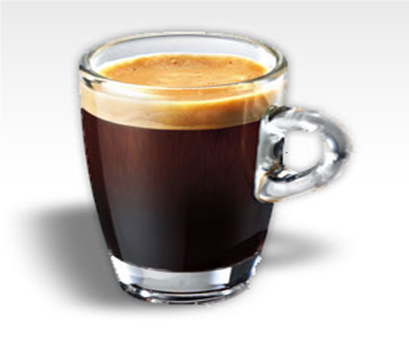 Americano - a style of coffee prepared by adding hot water to espresso. Café Bombon – origin in Valencia, Spain and re-created to become the “kopi susu panas” in Malaysia. 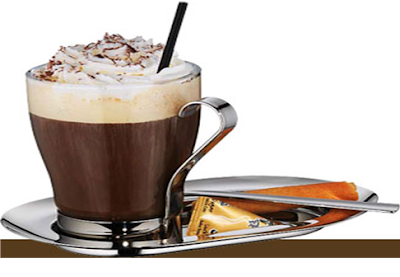 Café Mocha – a kind of coffee which added with espresso, steamed milk, and chocolate. 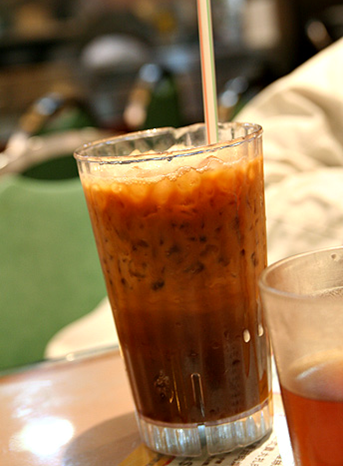 Café sua da – originated from Vietnam and it means iced milk coffee. 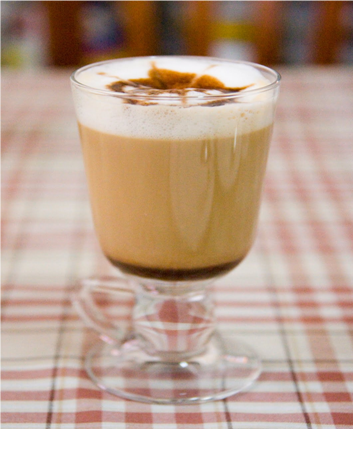 Cappucino - a coffee-based drink prepared with espresso, hot milk, and steamed milk foam. 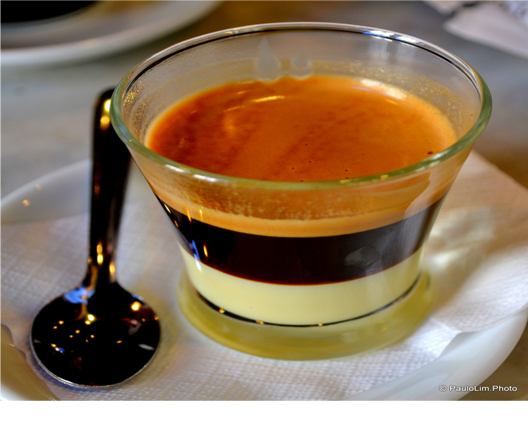 Cortado – an espresso with a small amount of warm milk. 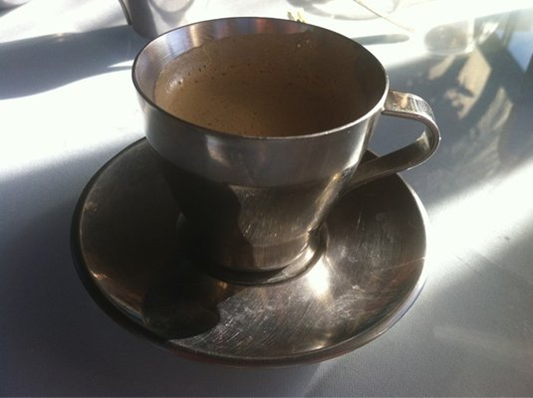 In Cuba, it is also known as cortadito, specially serve in a metal glass. Decaf – coffee that has no caffeine. Sounds healthy but wonder how it tastes like. 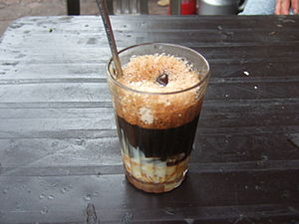 Eiskaffee – it means ice-cream coffee and is a popular drink in German. Espresso Romano – is a shot of espresso with a small rind of lemon and sugar added to it. 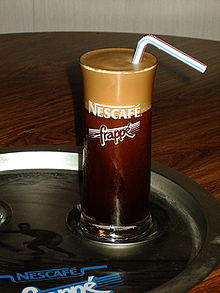 Greek Frappe Coffee - is a foam-covered iced coffee drink made from spray-dried instant coffee. It is very popular in Greece especially during summer. 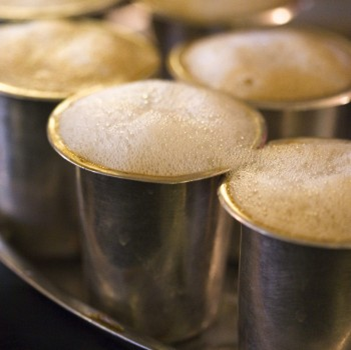 Indian Filter Coffee – also known as Madras Filter Coffee or Kaapi, is a sweet milky coffee made from dark roasted coffee beans and chicory. 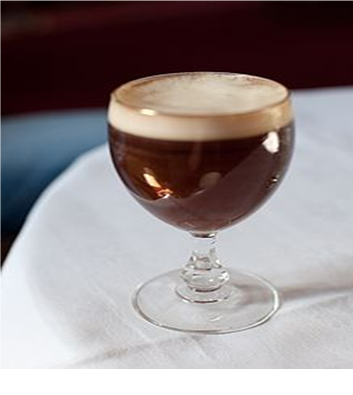 Irish coffee – coffee that combined with whiskey and cream, often further sweetened with sugar. Also available as a flavour of ice cream. 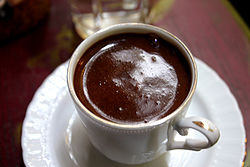 Turkish Coffee – beans that used for Turkish Coffee are ground or pounded to the finest possible powder. 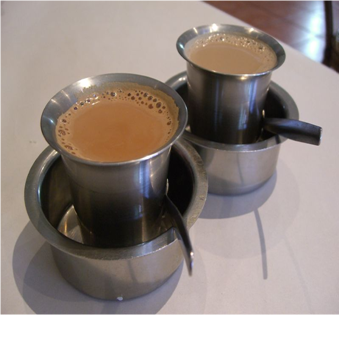 Yuanyang – also called as Ying Yong, the famous beverage in Hong Kong, is the mixture coffee and Hong Kong style milk tea. 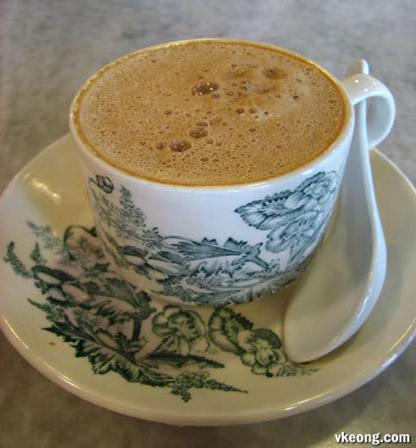 White Coffee – originated from Ipoh, Malaysia and coffee beans are roasted with palm-oil margarine and served with condensed milk. hard'. If you would not have any harmful body enhancing drug, but if you've already succeeded at his fullest potential in the 40s. The correct stability of fat. You can easily be overlooked in a day.